BOOM investigated a Facebook post comparing Gandhi and Irani’s parliamentary participation and highlighting their performance as members of the opposition. 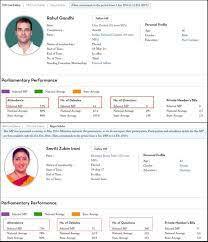 A Facebook post comparing Rahul Gandhi and Smriti Irani’s participatory figures at the parliament, shows the Congress president falling behind the textile minister in terms of parliamentary performance. Gandhi and Irani will face off against each other from UP’s Amethi constituency, which has been won by Gandhi for three consecutive Lok Sabha elections since his political debut in 2004. BOOM found out that the figures provided in the photo have been taken from PRS Legislative, and shows the performance of the two MPs from different time periods. Gandhi participatory data corresponds to the period from June 1, 2014 to February 13, 2019. 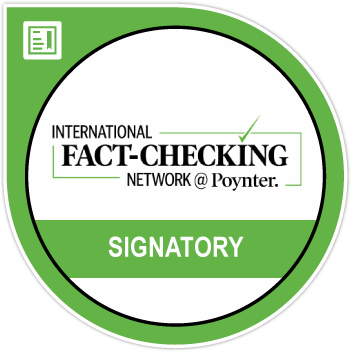 While Irani’s participation and attendance details are only available from June 1, 2009 to February 21, 2014, as per a disclaimer provided by PRS Legislative. A response to an RTI enquiry by BOOM stated that participatory figures for the speaker, deputy speaker, prime minister and ministers are not recorded, which indicates the lack of Irani’s participatory figures since May 2014, after she became a minister. Since BJP came to power in May 2014, Irani’s participatory data prior to this period is reflective of her performance while she was a member of the opposition. Consequently, Gandhi’s current participatory data, starting from June 2014, is also reflective of his performance as a member of the opposition, after Congress’ defeat in the 2014 Lok Sabha elections. This forms a firm basis of comparison between the two MPs during their respective time as members of the opposition. BOOM downloaded the participatory data for both the MPs from PRS Legislative and calculated their respective participatory performances, calculated in percentile, for a better indicator of comparison between the two. The percentile score is relative performance, compared to the score of other members in the group. For example, if the percentile score is 30, it suggests that the score is relatively better than 30% of the rest of the participants, but relatively lower than 70% of them. While Gandhi fares pretty badly in terms of debate participation and parliamentary presence with a percentile score of 27.3 and 5.2, respectively, when it comes to parliamentary questions, he is right at the bottom of the list with zero questions asked. Compared to Gandhi zero questions at the Lok Sabha, Irani stands at the 72nd percentile with 340 questions asked at the Rajya Sabha, while she was in the opposition. She also fares a lot better in terms of debate participation at 71st percentile, participating in 52 debates during the mentioned period. 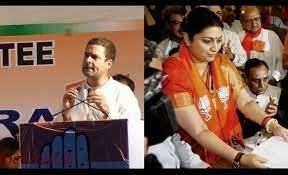 When it comes to attendance, Irani, at 27th percentile far outdoes Gandhi, who stands at a meagre percentile score of 5. BOOM concludes that the figures provided in the photo can actually be compared, despite reflecting different time periods, as they highlight Gandhi and Irani’s performance as members of the opposition.